Welcome to the Olde Mill Inn Press Room. Please visit this page often as we will continue to update you on the latest Olde Mill Inn reviews, news and travel opportunities. Find out what people are saying about our Basking Ridge Inn, a premier central New Jersey hotel for vacationing visitors, business travel, weddings, meetings and social events. Discover the latest news on travel to Basking Ridge today! 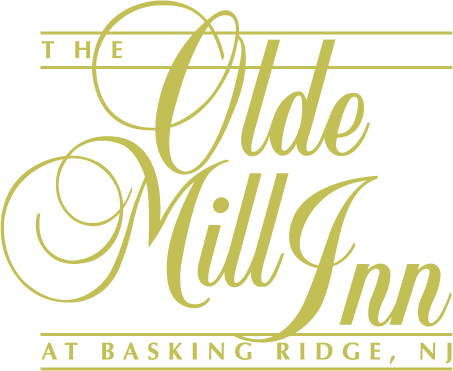 Over the past year I have stayed at the Olde Mill Inn many times for business. This lovely property has all you need – friendly, professional staff who take time to get to know you; lovely comfortable rooms recently updated. The inn also features smart furnishings in common areas and a courtyard with flowers, trees and balconies that overlook it. A sumptuous, delicious breakfast awaits guests each morning. First word that comes to mind..Perfect! Everything about this place is exquisite. From the decor and food (the restaurant is amazing) to the convenience of having the rooms on site. This place is beautiful. They are super accommodating and I felt very comfortable. Our Maitre D’ John was out of this world! He made sure to take care of not only us and his staff but all of our guests as well. He did not break for one minute. If you get John as your Maitre D’, consider yourself lucky! He is the absolute best!! Thank you Olde Mill Inn for making the best day of my life, simply the best!